The hugely-popular Game of Thrones is the most-pirated television show of 2012, according to new figures. Season 2 of the George R.R. 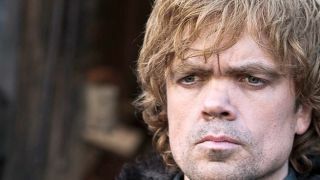 Martin epic, which sees the Starks, Lannisters and pretty much everyone else with a sword battle for the seven kingdoms, has been illegally downloaded a whopping 25m times. Bit-torrent analysis firm Big Champagne says the show, made and screened by the expensive HBO cable network in the US and shown by Sky Atlantic in the UK, is now being torrented 2.5m times a day. "The fact that it's consistently at the top of the Pirate Bay's top one hundred TV show chart seems like an in-your-face leading indicator of the huge volume at which this is being shared," said Big Champagne analyst John Robinson. "This is absolutely a reaction to the show's not being available elsewhere online It's a very tricky game trying to create this kind of scarcity." Naturally, HBO is not going to make this show freely available to non-subscribers as Game of Thrones' budget and production values are akin to most Hollywood movies. However, there is no week-to-week pay-per-view option through the company's on-demand service or other digital portals like iTunes. Last season's escapades were only outshone by Showtime's Dexter in the illegal download charts.